The only biographical detail that has been recorded for this well-painted portrait is the lady’s name – Mrs Gedge (neé Thorold). 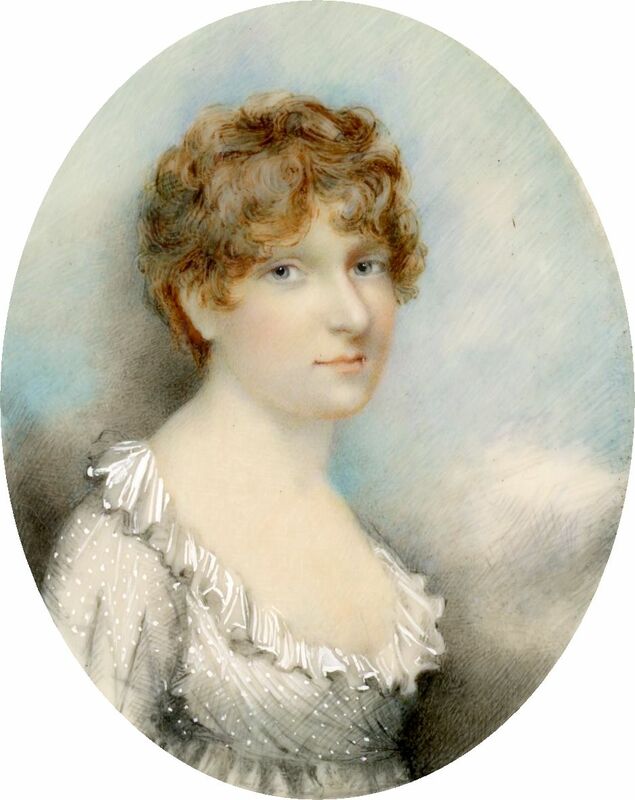 Painted around 1810, she is shown wearing a muslin dress in pale grey – to match her eyes – finely spotted with white and with a frilled neckline and attractive van dyke sleeves. 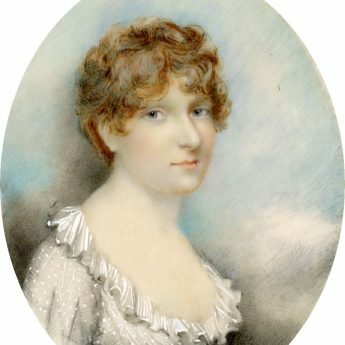 Her auburn hair is fashionably cropped and arranged in curls around her face. 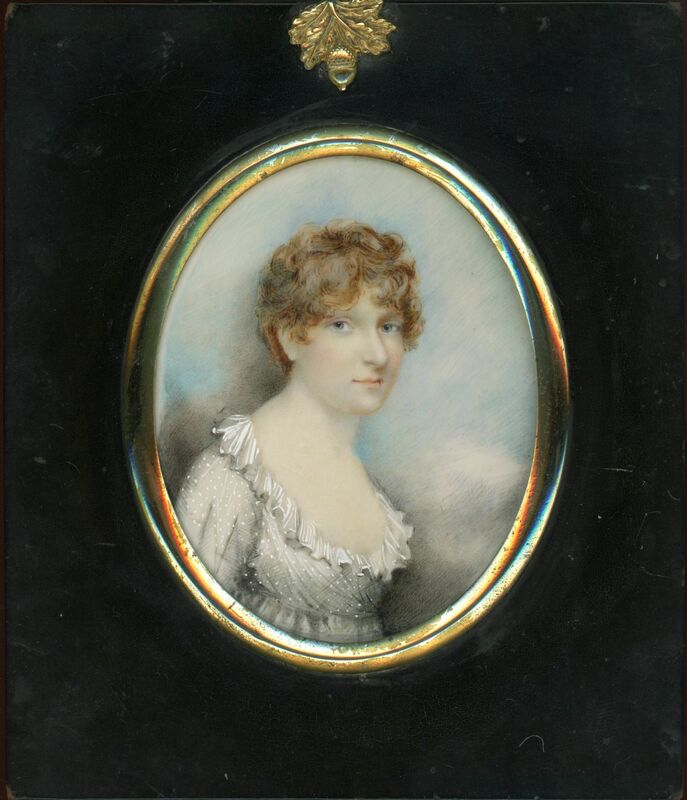 The portrait is housed in a traditional papier-mâché frame with an acorn hanger.